Melvyn Bragg and guests discuss altruism, described as “an unselfish attention to the needs of others” but how does this square with Darwin’s theory of Evolution? Melvyn Bragg and guests discuss altruism. 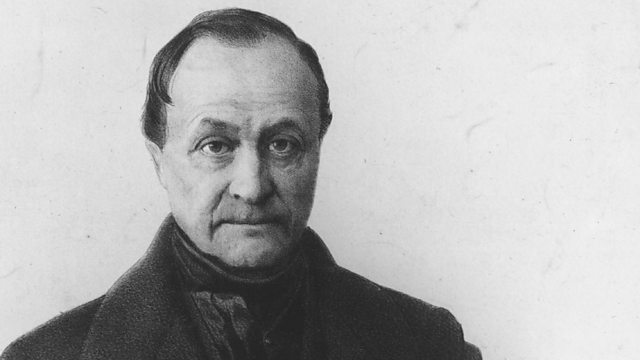 The term altruism was coined by the 19th century sociologist Auguste Comte and is derived from the Latin “alteri” or "the others”. It describes an unselfish attention to the needs of others. Comte declared that man had a moral duty to “serve humanity, whose we are entirely.” The idea of altruism is central to the main religions: Jesus declared “you shall love your neighbour as yourself” and Mohammed said “none of you truly believes until he wishes for his brother what he wishes for himself”. Buddhism too advocates “seeking for others the happiness one desires for oneself.”Philosophers throughout time have debated whether such benevolence towards others is rooted in our natural inclinations or is a virtue we must impose on our nature through duty, religious or otherwise. Then in 1859 Darwin’s ideas about competition and natural selection exploded onto the scene. His theories outlined in the Origin of Species painted a world “red in tooth and claw” as every organism struggles for ascendancy.So how does this square with altruism? If both mankind and the natural world are selfishly seeking to promote their own survival and advancement, how can we explain being kind to others, sometimes at our own expense? How have philosophical ideas about altruism responded to evolutionary theory? And paradoxically, is it possible that altruism can, in fact, be selfish?With Miranda Fricker, Senior Lecturer in the School of Philosophy at Birkbeck, University of London; Richard Dawkins, evolutionary biologist and the Charles Simonyi Professor of the Public Understanding of Science at Oxford University; John Dupré, Professor of Philosophy of Science at Exeter University and director of Egenis, the ESRC Centre for Genomics in Society.